We all know what a nuisance rodents can be when they get into our homes. They scurry in our walls and above our heads during the night, they raid our food and ruin it with their feces, and they reproduce wildly, creating more and more inhabitants for us to worry about. Rats, mice and squirrels also do a lot of damage to your home�s structure, insulation, pipes and even electrical wiring. That�s where the biggest problem comes in to play. While you can repair obvious damage, it�s all too easy to miss a gnawed piece of wire when confronted with larger scale issues like insulation used as nesting, excrement contaminated floorboards and gnawed on support beams. However, a missed frayed wire can cause more damage than all of the other problems: it can cause an electrical fire in your home. Why Do They Chew Wires? Considering that at least one rodent has to have gone to its death gnawing on an electrical wire, it doesn�t make much sense that they�ve taken to it. So why on earth do rodents chew on wires? The answer is simple: rodents chew on everything. Rodents� teeth are constantly growing, which forces them to have to gnaw on anything they can get their paws on to file their teeth down. If they don�t gnaw frequently, their teeth can grow so long that they can no longer feed themselves and will starve to death. So electrical wires suffer from the tragedy of being chewed on simply because they are there. 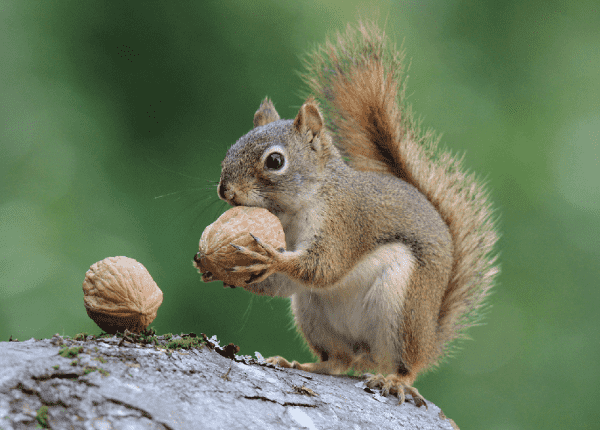 Rats, squirrels and mice will chew on anything, even metal pipes, so the squishy insulating exterior of electrical wires is an appetizing treat in comparison. Plastic insulation surrounding electrical wiring exists because electricity is quite hot when it goes through wires. The insulation protects nearby objects from getting overheated. However, when a rat or other rodent has been going after your wires, they leave nothing left but the hot, exposed metal. From there, it�s only a matter of time before the wire either short circuits, causing a spark, or heats up and causes something nearby to ignite. Usually household insulation or other debris that are stirred up by the rodents are what sets fire, but sometimes it can just be that the wire is resting against a wooden support. Nearly one quarter of fires with unknown causes are believed by experts to be caused by rodent damage. The easiest way to prevent rodent-related house fires is to prevent rodents from entering your home in the first place. Because mice can enter holes of even 1/4 inch, you need to call a wildlife exclusion team to ensure that rodents cannot enter your home. These teams can both find and seal any problem areas to keep your home rodent free. If you already have rodents, you should call a professional pest control team immediately. You may already have significant damage to your home from your rodent squatters, so once you�ve eliminated them from your home, ask your pest control team about ways to check for and repair rodent-created damages. As always, install and frequently test a smoke detector in your house whether you have rodents or not. If a fire does occur, a smoke detector can save your life and the lives of your family.